If you’re still waiting for the results of the AWS Specialty Beta exams (Security, Big Data or Networking), you are not alone. The results and final versions of the exams were supposed to be released at the end of March. But March came and went, and we only got one small update from AWS. Last week, I finally had the time to schedule my AWS Certified Solutions Architect – Professional exam, which I passed on Saturday. It’s been a while since I did the other AWS Professional level (DevOps) certificate, but I thought I’d share my take on how the exams compare. Last week I made an attempt at passing one of the new AWS Specialty exams – Security. 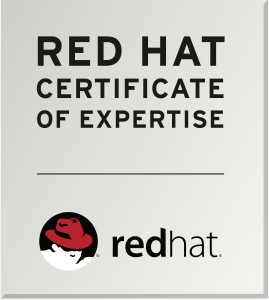 I have recently passed Red Hat’s EX407 (Red Hat Certificate of Expertise in Ansible Automation exam) and I wanted to share my experience for anyone else who might be looking into getting that certificate. At the time of my exam, I was only a second (publicly visible) person in the UK who had that certificate. Probably because it was only made available in summer this year.